The neoplasm and extensive fibrosis replaces most of the normal pancreas. Tumor can be located anywhere in pancreas. The neoplasm, in the head of the pancreas, can compress the common bile duct causing an extra hepatic obstruction. Dilatation of intrahepatic bile ducts, common bile ducts (CBD) and gallbladder (Courvoisier GB). 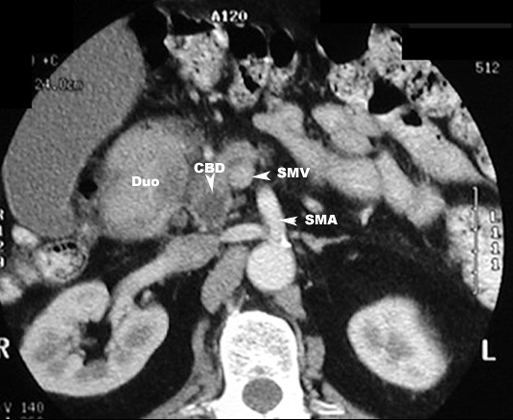 Cancer in the tail of pancreas may obstruct the splenic vein or cause a mass effect on adjacent structures. 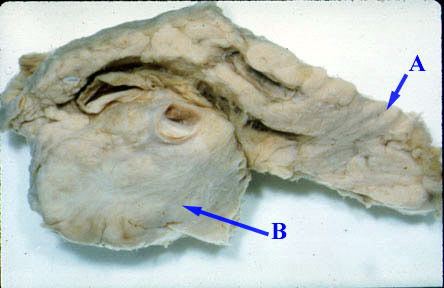 The pancreas is bisected along its longitudinal axis revealing a large adenocarcinoma (B) of the head. (A) is the tail of pancreas which is normal. 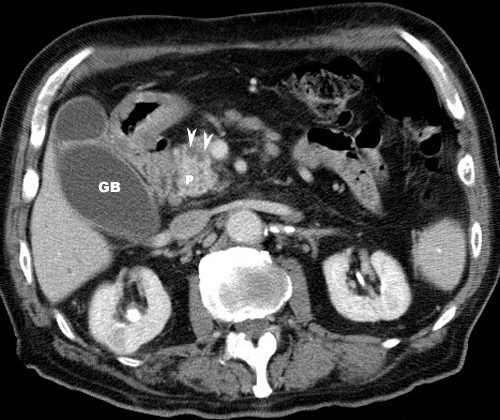 What are the anticpated imaging findings of Cancer pancreas? 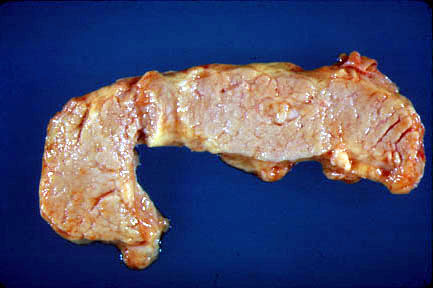 Biliary tract obstruction when the carcinoma is in the head. Dilatation of intrahepatic bile ducts, common bile ducts [CBD] and gallbladder. 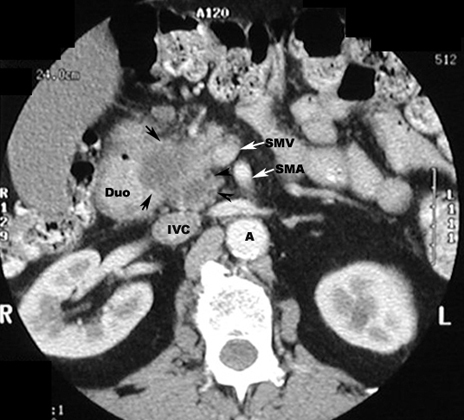 Black arrowheads points to an irregular mass in the head of the pancreas.